The reviews are in for Big Fish, and the critics have mixed feelings about the large-scale production. By all accounts, the musical — based on the Tim Burton movie and the Daniel Wallace novel — features spectacular stage magic from the mind of director Susan Stroman and a lovable leading man in Norbert Leo Butz (as Edward Bloom). Some consider the score by Andrew Lippa and the book by John August (the screenplay writer for the 2003 movie) to be weaknesses of the production, lacking in imagination and creativity, but some say that Stroman’s technical ingenuity covers all of that up nicely. 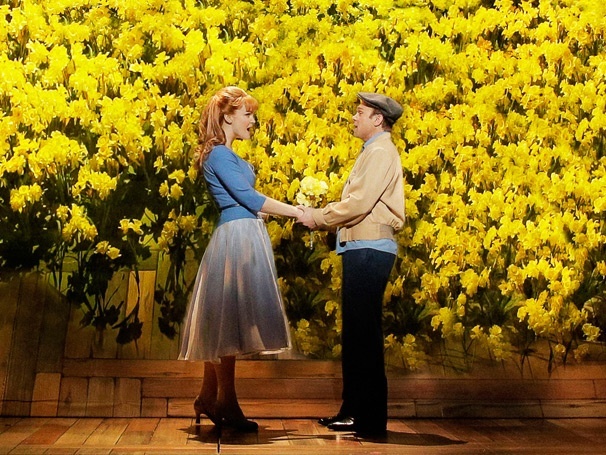 Basically, if fantastical lighting and scenery are what you want to see, Big Fish could be great for you. If you’re searching for a story with an unpredictable plot and emotionally-charged characters, maybe you’d be happier sitting this one out. I saw Big Fish tonight and I loved it. a whopper of a new musical about whoppers. Family ages 9-74 saw Big Fish Nov, 27 and really enjoyed it. The cast was great. Sorry it’s closing.